When your taps stop working, there could be a number of things wrong with them. However, I’m going to be covering the basics of dripping taps plumbing. I’m going to be discussing how to fix leaking tap. When you are researching how to repair taps, it may cross your mind to wonder what causes this sort of problem. There are 4 different causes of broken or leaking taps. There could be damaged parts, a worn out cartridge, there may not be enough water pressure, or the plumbing may be broken. Having damaged parts is the commonly occurring problem. If you have a steady drip, then it means you will need to put in a new washer in the tap. The seal in compression faucets are under a lot of pressure to stop the water flow and so if you have a leak the seal is most likely damaged. For the other types of faucets, you’ll want to look at all their parts to see which aren’t working correctly. To fix a leak in the faucets that have cartridges in them, you’ll need to replace the cartridge itself. Make sure to check that the replacement will fit exactly in the faucet. Now the water pressure may be an issue if notice the faucet acting up during particular times during the day. If this is occurring then the pressure of the water might be too high. Having high enough water pressure can cause a pipe to back up enough to leak out in another location. It is recommended to reduce your water pressure otherwise leaving it as is, will lead to more serious issues that will require help from your local plumber. Another cause may be that you have a broken pipe somewhere along the water pipe, which will probably require professional intervention. Knowing the problem is nice, but what you really want to know is how to fix taps that are leaking. You may want to just call on the Best Plumbers Perth or try fixing the problem yourself. First you will need to turn off the water source to the tap. Once the water is turned off, open the faucet, which releases the water pressure. There are two common types of faucets: washer and ceramic. A washer faucet has the cold and hot water taps that turn either counter clockwise and clockwise. A ceramic faucet has a lever that pulls up and turns for either hot or cold water. Remove the cover of the faucet, which usually is made of plastic. This cover hides a few screws that you’ll need to unscrew. Keep in mind that you need to remember the order that the screws are removed in order to replace them later. To remove a washer faucet you’ll need a crescent wrench. Proceed to remove all screws and nuts until you find the black rubber washers. To save some time you may need to take the faucet and the washers to your local professional store and get assistance to make sure you get the right replacements for the worn out washers only if you don’t have replacements. Once you have replaced the washers, go ahead and put the faucet back together. Turn the water source back on and turn on the tap. It should work correctly and not be leaking anymore. Unlike washer faucets, ceramic taps are slightly more difficult to fix. The part that will need replacing is the canister, it is around the size of a tube of lipstick. The canister piece will need a special tool to take off, which is included when you purchase a new canister. Take note of the make and model of the canister and head to the hardware store to purchase a replacement canister piece. The installation of the new canister is the same process as the uninstallation. Test the faucet to make sure it works. Now you know the difference between the two types of faucets, and how to fix taps that are leaking. Now you have some information about how to fix taps that specifically leak. But if you think the problem is too much for you to handle, don’t hesitate to call on the experts. 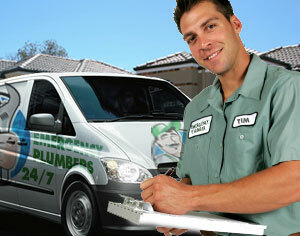 Best Plumbers Perth is always ready and available to help you fix your leaking taps or any tap problems you may have. We also offer a wide variety of services from residential and commercial plumbing to kitchen and bathroom plumbing. 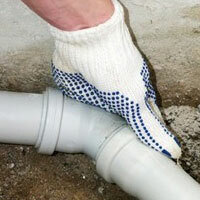 These come in handy with just about any plumbing job that puts you in contact with water. You’ll want this on your list of plumbing equipment because the water you’re working with isn’t always the cleanest and they can help your hands stay clean while you’re working. 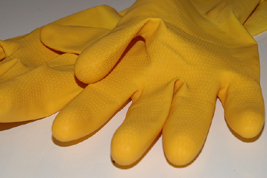 Another advantage is that most rubber gloves have decent gripping surface on the outside so you won’t lose your grip when things get wet while you are working. This just tends to be an all around good supply to have on hand if you intend to do plumbing work with your toilet, shower, or sink and are good even for just regular cleaning maintenance so they are never a waste. This is a tool that should be on everyone’s list of plumbing tools. An adjustable wrench helps to avoid the need to get a whole set of wrench and will fit around the larger nuts that appear so frequently in plumbing jobs. You simply spin the adjuster until the wrench fits snuggly around what you’re working with and you are good to go, remember “Lefty loosey, righty tighty”. Make sure you don’t have your wrench on too loose or you might strip the bolt making it hard to use. Another good thing to note when undoing these bolts is to turn off the water valve to that area of the house. If you forget this step you might find yourself with a pretty big spill. A coat hanger is a really easy tool to add to your list of plumbing tools, but can be invaluable. 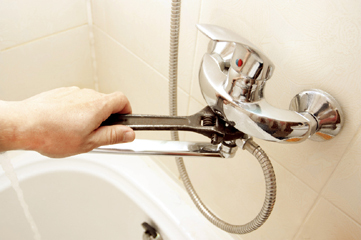 The main use for coat hangers as a plumbing tool is for undoing clogs in pipes or drains when a plunger doesn’t work. You will want an adjustable wrench on hand and to have turned off the water valve to that area. You’ll also want a bucket to catch water caught behind the clog. Then you can just scrape the clog out of the pipe making for easy do it yourself clog removal. Then just use your wrench to put the pipe back in. 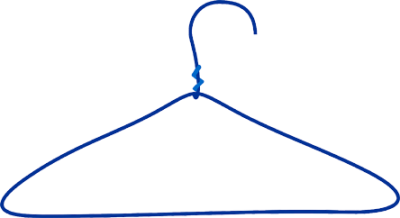 This is totally worth repurposing an old coat hanger to make a such a difficult job a breeze. Now you know some things to add to your plumbing tools supply. This will make your plumbing jobs go by easier and quicker so you can move on to doing other things instead of sitting around waiting for a plumber to do it for you. On top of that you’ll have the sense of achievement that comes with doing it yourself. Visit our blog for some of the bathroom plumbing services Best Plumbers Perth is professionally known for. You never know what to expect with your plumbing system, so it’s always best to be prepared. Here are a few essential plumbing tools for fixing plumbing leaks, clogs or other problems. It’s important to have some plumbing tools on hand for emergency repairs or general maintenance. If you are unable to fix the plumbing leak, let the Best Perth Plumbers by calling (08) 6311 4067. Regular plungers are useful for fixing clogs in sinks and showers while flanged plungers should be used only for the toilet. When grease and food particles build up in the kitchen sink, obstructions can easily cause clogs and a terrible smell. For clogged sinks, let the faucet run over the plunger until the water level is above the bottom of the plunger. Once you have a tight seal, begin plunging until you can feel the clog release. Plumbing tape can come in handy for less crucial repairs or for fixing pipe leaks until a plumber can come out. Plumbing tape is not a long-term solution to fixing plumbing leaks, though, and should only be used as a band aid until the pipe can be properly repaired. If you have the experience to do repairs yourself, buy the rubber seals, pipe fittings, wrenches and other plumbing tools you think you may need. It can be aggravating to have a clogged toilet that could easily be repaired if you had the right tools. Fixing plumbing leaks and many other problems can be done by purchasing some of these items. If you are planning on performing a new toilet or sink installation, it may be best to contact a local expert for help. For professional service on more challenging jobs such as pipe leak detection Perth, contact a local plumber for assistance. Instead of going out and buying all these plumbing tools, simply call an Emergency Plumber who has all the tools needed to take care of your clogged toilet or fix shower leaks. The Best Perth Plumbers know how difficult it can be to deal with a severe plumbing problem. Call us today at (08) 6311 4067 for expert pipe repair and replacement so you can focus on more important matters. If you are still experiencing problems with your leaking shower, the plumbing issue may be more systemic and require the careful attention of a plumbing professional. The Best Perth Plumbers know what to do. To get the best service at an affordable price, contact us today at (08) 6311 4067 for expert assistance in fixing shower leaks, plumbing leak detection or with other issues with your plumbing infrastructure.Are you dealing with some random drips and leaks inside of your home? These drips and leaks could be coming from assorted pipes throughout the home, such as the pipes underneath your sink, the pipes leading to your bathtub, or pipes that are located anywhere else inside of the home. 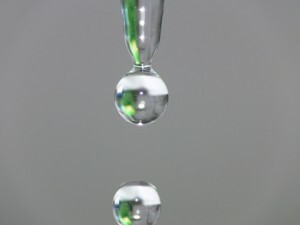 Even if it is only a small amount of water, it is important to get these drips and leaks repaired immediately. If you do not get the repairs done quickly, you could end up dealing with more issues in the long run. Your Water Bill Will Increase If something is leaking inside of your home, your water bill is going to increase. It may not seem like that big of a deal because it is just a small amount of water coming from the pipes, but it adds up over time and it will end up costing you more than you probably want to spend when it is time for you to pay your water bill. There is no reason to waste more of your money when you can simply choose to have the leak fixed by plumbing professionals who can detect leaks, find out what is causing them, and then make the necessary repairs to put a stop to those leaks. You Will Unintentionally Waste a Lot of Water When you do not get your leaking pipes fixed, you are going to end up wasting a lot of water. There is no point in wasting a natural resource when there are people who do not even have access to fresh and clean water. If you are not the kind of person who likes to waste resources, you should make sure you are having your pipes inspected, repaired, or even replaced if they are too damaged to fix so that you can avoid unintentionally wasting a lot of water inside of your home. The Leak Can Get Worse and Cause Massive Damage Most leaks start off small, but they can eventually become much more problematic over time. In fact, a pipe that is leaking a few drops of water throughout the day could eventually bust open, causing water to flood your home. If water is flooding through areas of your home, you are going to end up dealing with some water damage and you will likely need to spend even more money on restoration services to get your home back into the condition it was in before the flooding occurred. Why deal with that kind of drama when you can reach out to a professional, have your problem taken care of, and avoid a huge headache? Whenever leaks or drips are taking place inside the home, they should be taken care of right away to avoid even more issues in the future. 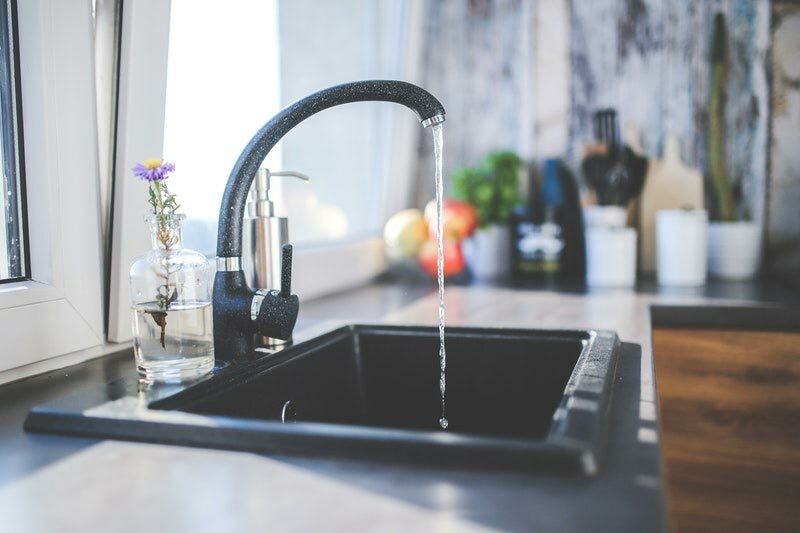 When water is constantly dripping from a pipe, it is going to cause your water bill to increase while wasting a lot of water that you could have used when bathing, washing dishes, or brushing your teeth. Aside from wasting water and money, drips and leaks can easily cause a lot of costly damage to your home’s interior. Does your water heater look like a rusty bucket? Maybe it doesn't look so bad, but it has been around since The Great Depression. In all seriousness, there are certain signs you need to be on the lookout for so that you know when it's time to replace your old water heater. The first thing you're going to want to know is the age of your system. You may not know what year the water heater was installed, and in that case, you can take a look at the serial number. That will tell you what you need to know. While you need to take into account other factors besides the age of your water heater, the 10 year rule does apply. After 10 years, the experts recommend that you consider replacing your traditional tank water heater, especially if there are other warning signs. However, water heating systems can last longer than 10 years. A tankless system lasts about twice as long as a traditional water heater. That being said, you can look at your options for replacement after you determine if you need to take action. What signs should you be on the lookout for besides the age of your water heating system? 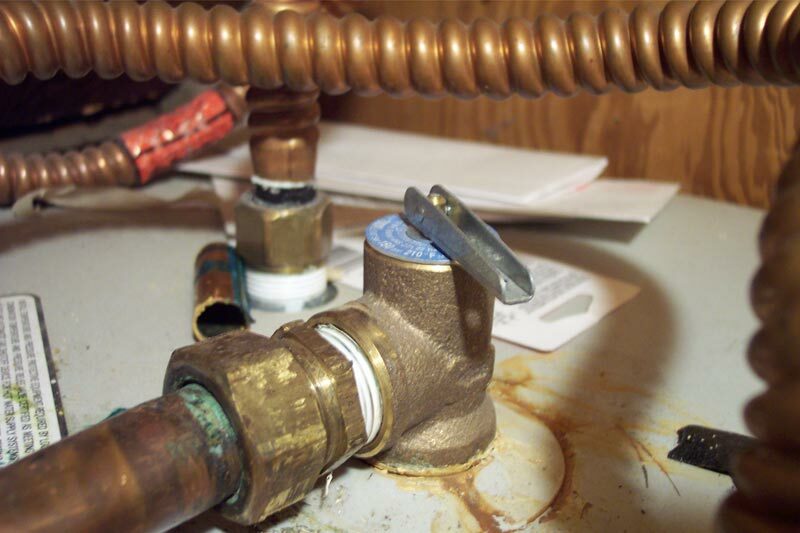 Rusty water is always one of the signs that your water heater might need to be replaced. Yet you don't want to jump to conclusions. The rusty water could be because of your pipes. A test can be performed, and then you will know. One thing about rust is that it can cause a water heater to eventually leak. You're not going to want to wait for it to start leaking before you purchase a replacement. And if the water heater is leaking already, then you know it's time to start picking out a new one. Older water heating systems and boilers also are known to make noise. If yours is making noise, then that's just another reason why it might be time for a new system. It could be that there is quite a lot of sediment built up inside the tank. This sediment can be damaging to your water heater, and it can also make it much less efficient. Once your old tank heating system is in this kind of shape, it goes downhill fast. You are familiar with some of the major warning signs now. If any of this advice seems familiar to you regarding the water heater you have in your home, perhaps an upgrade is in order. Remember that you do have tankless systems as an option. They are a little more expensive, but you get what you pay for. There are other individual warning signs that you might want to know. Start with the age of your water heater, and work your way from there. What problems have you noticed? If you're not sure whether or not it needs to be replaced, the professionals can take a look. Maybe repairs are in order for now, but sooner or later, a replacement will be necessary. First things first when it comes to how to pick a plumber you’ll want to take a look at your options and price them out. Keep in mind some plumber companies may want to come in and do an assessment before giving you a solid price so give them a description of what is going and ask for a best case and worst case scenario of what will be needed to fix it and how much those will cost. This will give you a general price range for that company without making you pay them to come out, which frees you to compare a few companies before making a final decision. The next tip on how to pick a plumber is understanding their quality. To do this you can look over their site to see if they specialize in the kind of work you need done. You can also learn a bit about how much they know when you talk to them over the phone about the issue you’re having and see if they’ve heard of that issue before. By making sure that they have the tools and know how to get the job you can avoid having to hire a different plumber to fix their mess or having them come a second time because they didn’t have the tools to do it right the first time. Another thing to check is reviews from their previous customers so you can get an idea of the work ethic of the company, customer service is a huge part of company quality and yu can pick up details that the company might not admit about themselves, such as how long they take, whether they show up on time, and how effective they’ve been for others in the past. The last tip on how to pick a plumber is finding their guarantee policy. The only thing worse than having to hire a plumber to get a job done is having to hire multiple plumbers to get the same job done. Make sure that the plumber you hire has a written guarantee or that it is in their company policy to guarantee the success of their work so you don’t have to pay again to have your problem fixed. By checking this you save yourself from putting your money at risk. Now you know a bit more about how to pick a plumber. We looked at how to assess the costs of hiring a plumber, what qualities to look for in a plumbing company, and warned of the importance of a guarantee from plumber businesses. So now you should be much better prepared to hire someone to fix your plumbing issues. WA law now requires that a backflow prevention device be installed in all commercial properties and businesses that are open to the public. Upon installation, a backflow prevention device must be tested for consistency and then inspected at least once every six months. Contact Best Plumbers Perth by calling (08) 6311 4056 and let our professional, courteous staff take care of installing backflow prevention for your property or business and perform the annual inspections required by WA law. 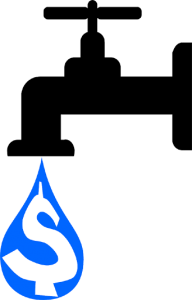 We deliver the best and most reliable backflow prevention plumbing services Perth WA has to offer. When reverse flow occurs in plumbing pipes, chemicals, pesticides or other contaminants can find its way into the drinking or potable water supply. Establishments located near agriculture or heavy industry may be more likely to experience backflow issues and water contamination. If you own a property that is located near possible sources of pollution, it’s very important to have the best possible backflow prevention device installed. If your commercial business already has a backflow prevention system, always make sure to have it inspected once every 12 months to ensure everything is working properly. Backflow can pose a serious health risk to both employees and customers. If left unresolved, backflow can contaminate fresh water sources and cause serious illness. A business that provides drinking water is required by law to prevent possible cross-contamination due to backflow. Some businesses that should consider upgrading or inspecting their current backflow prevention devices are spas, water parks, restaurants or hotels. If you need an emergency backflow prevention device installed for your commercial establishment or property, call (08) 6311 4056 today for expert help the moment you need it. The Best Perth Plumbers are emergency plumbers who work around the clock and are prepared to respond to virtually any plumbing issue at a moment’s notice. We endeavor to provide the fastest solutions at the most affordable prices for plumbing works Perth has to offer. Don’t put off backflow prevention another day. Call now to get the job done on your schedule, not ours. Although it would be best to let the professionals handle any plumbing job, some of it you may tackle yourself if you have the luxury of time. Check out our blog for some tips and information as to what plumbing tools you should own.